Enter the site and don’t be panic, this is not a wrong link. Orange Julius is a sub-brand of DQ. That’s why we are here. Choose whether to work at corporate or in store. 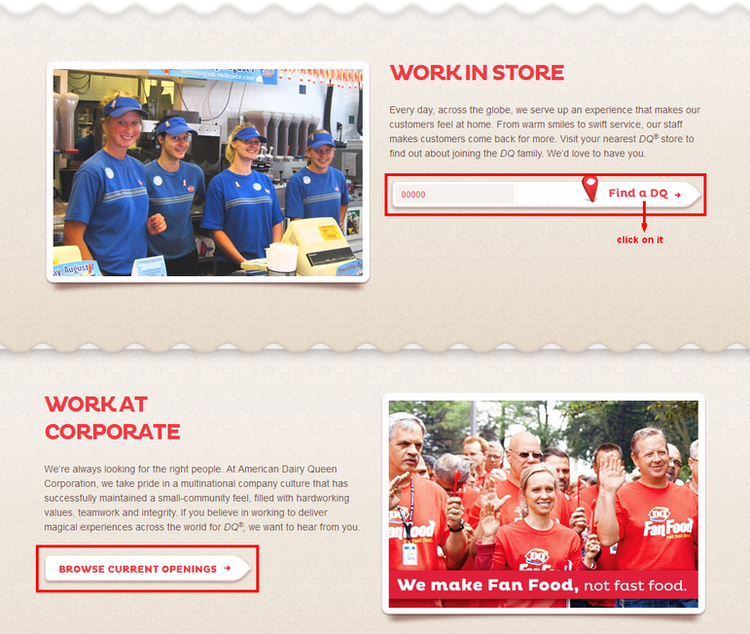 If you want a job in store, type your zip code or city and click on “Find a DQ” to move on. Skip to step4 if you want to work in corporate. 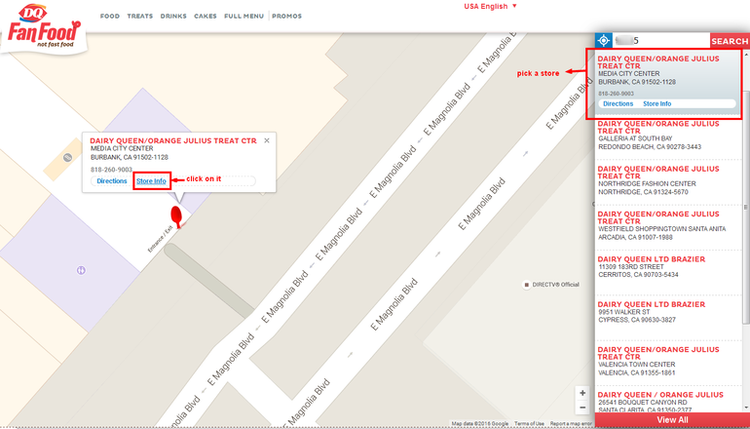 After typing zip code, pick a store with” DAIRY QUEEN/ORANGE JULIUS TREAT CTR”in the store list for your reference. Click on the Store information to know more. We can see the address and the contact number on this page. Some of stores can be read operation hours on this page too. Contact the store in appropriate time and find out whether they need a new crew member. 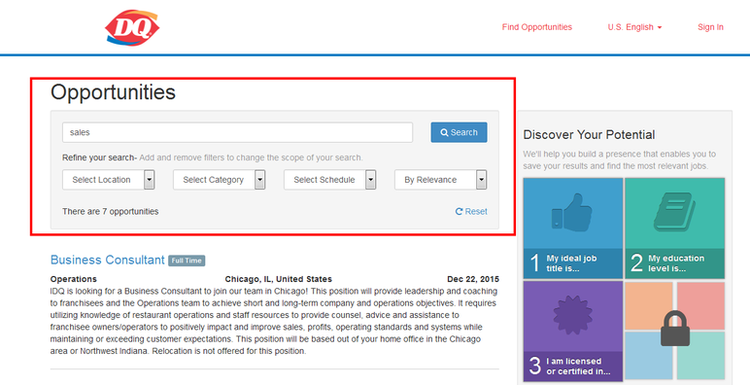 Click the BROWSE CURRENT OPENINGS at “WORK AT CORPORATE” on the link page, you will see a page with search and current openings. Select a position you wish to consider. Click orangejulius.com to apply for Orange Julius jobs online.